For this post, I may have received some form of compensation, but all opinions are 100% my own. Sometimes you want a dessert, but you may not want something super sweet like cookies or cake. This Ginger and Honey Baked Apples recipe is a perfect solution–it is sweet and delicious, but not overly sweet. Plus you can feel good about yourself while you enjoy it because it has healthy ingredients like apples, ginger, and honey! Pre-heat oven to 325 degrees. Pulse flour, graham crackers & seasoning in the a food processor until finely ground. Transfer mixture to a medium bowl and add melted butter. Mix ingredients until a few large clumps form. 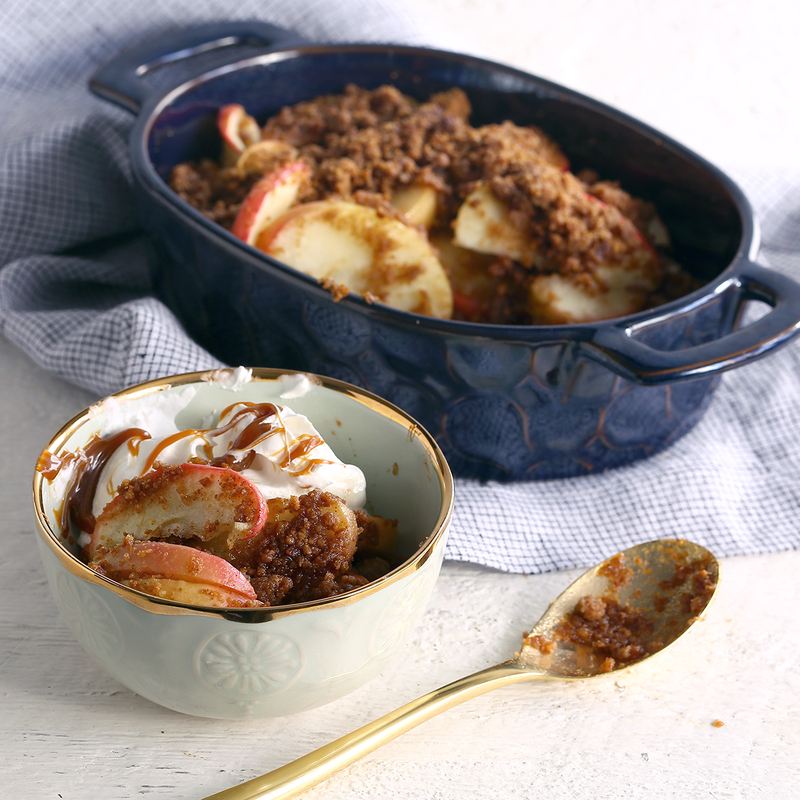 Spread out crumble on a rimmed baking sheet and bake, shaking once during baking, until golden, 12-15 minutes. Let cool. Increase oven heat to 350 degrees. Spray a large baking dish with cooking spray. 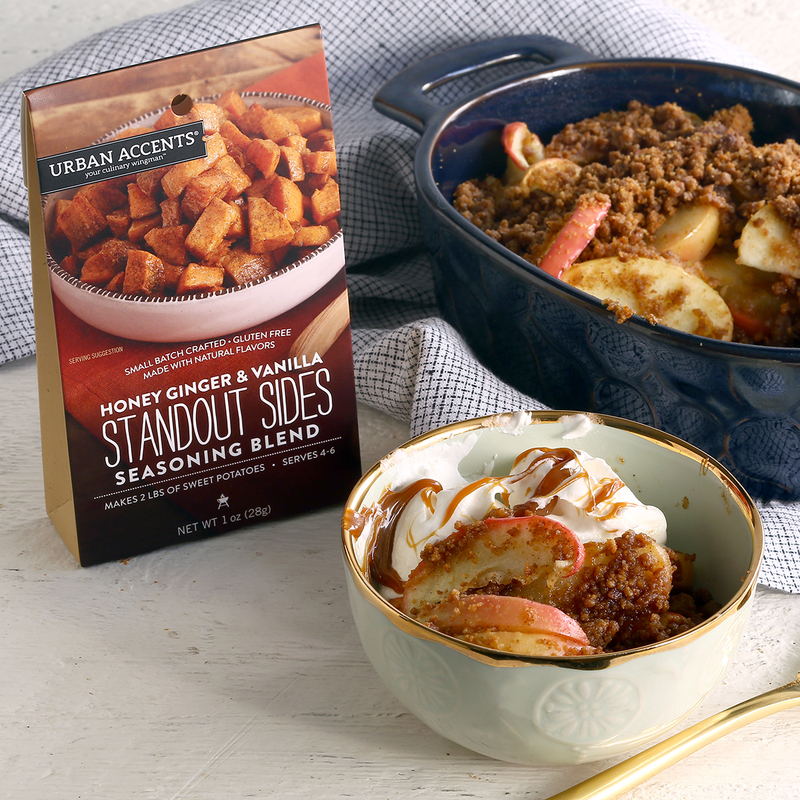 In a bowl, add apples and 1.5 cups of graham cracker mix. Toss ingredients to coat evenly. Pour into baking dish and cover with remaining graham cracker mix. Add the cubes of butter on top; then, cover with foil. Bake for 15 minutes. Remove foil and bake for an additional 10 minutes. Garnish with whipped cream and caramel sauce when ready to serve.